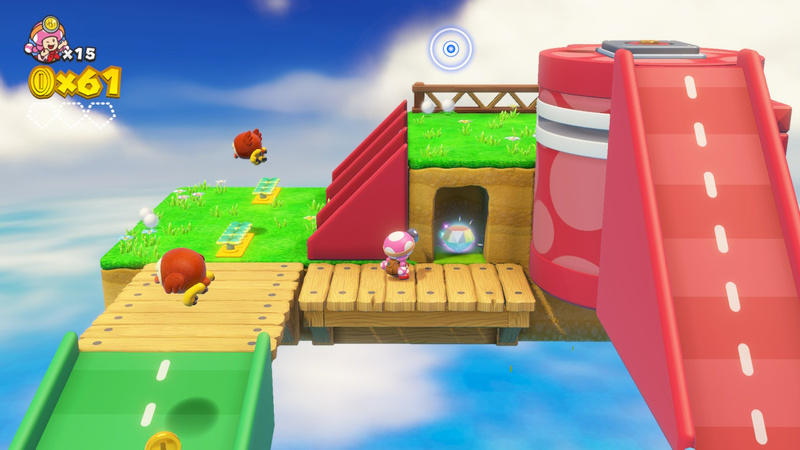 Captain Toad: Treasure Tracker is a cutesy little puzzler that stars Super Mario 3D World's adventurous Captain Toad as he travels across a variety of teensy levels in search of treasure. That includes Gems, Extra Challenges, and Stars. Some of this treasure is pretty tricky to find, and will give your brain a minor workout. You'll have to solve puzzles, navigate a dangerous environment, and even use some good old lateral thinking if you want to collect it all. Fortunately for you though, we've scoured the depths of every single level to bring you this complete walkthrough. Read on to learn the location of every single Gem, Gold Mushroom, and Pixel Toad in Captain Toad: Treasure Tracker - Episode 2. Climb up the ladder and move the spinwheel anti-clockwise until the slide is all the way to the left. Tilt the camera 180 degrees and you should see the gem beneath the spinwheel platform. Drop down and grab it. 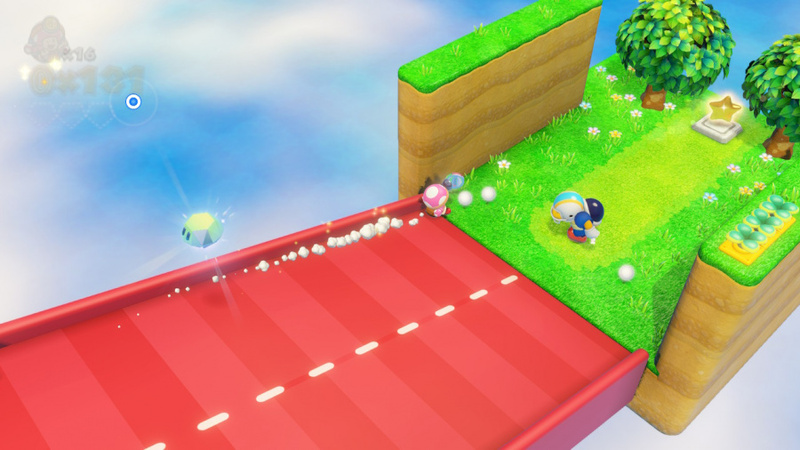 Spin the slide right until it creates a slope down to the platform with a blue shy guy on it. Slide down and then spin the second slide into the same position as the first. Slide down and get the second gem on your way down. 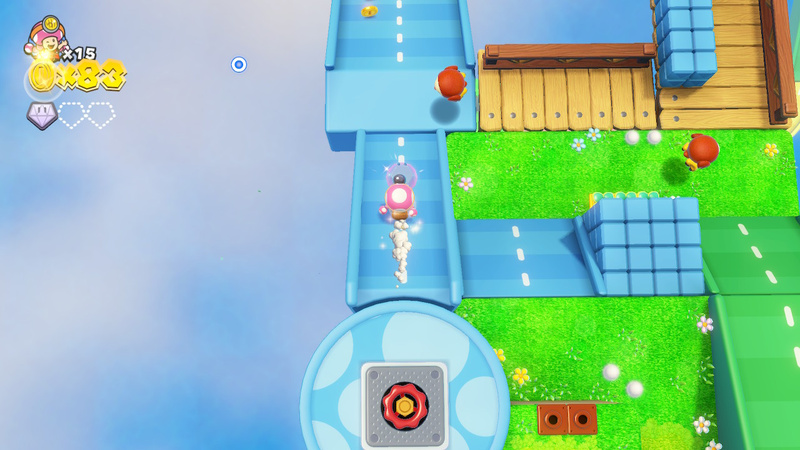 Grab the third gem by moving to the left side of the slide that leads to the end of the level. 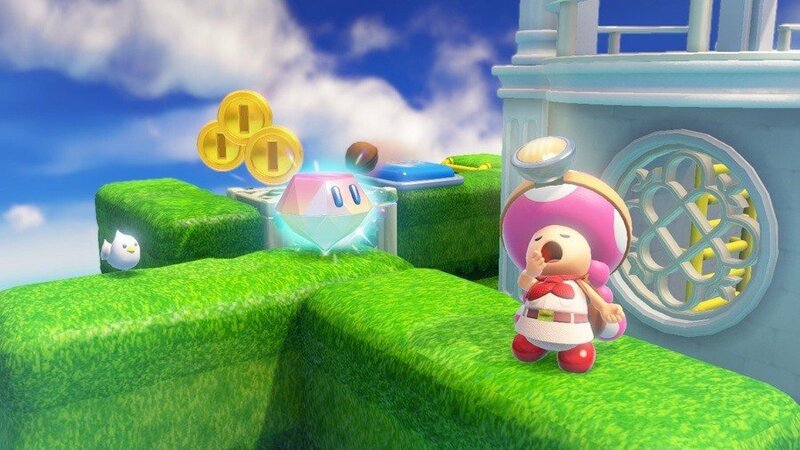 Getting the Gold Mushroom requires a pretty scary leap of faith. Reach the final spinwheel and climb down the ladder just next to it. Position your camera so you can see below and you should see the Gold Mushroom far below you. 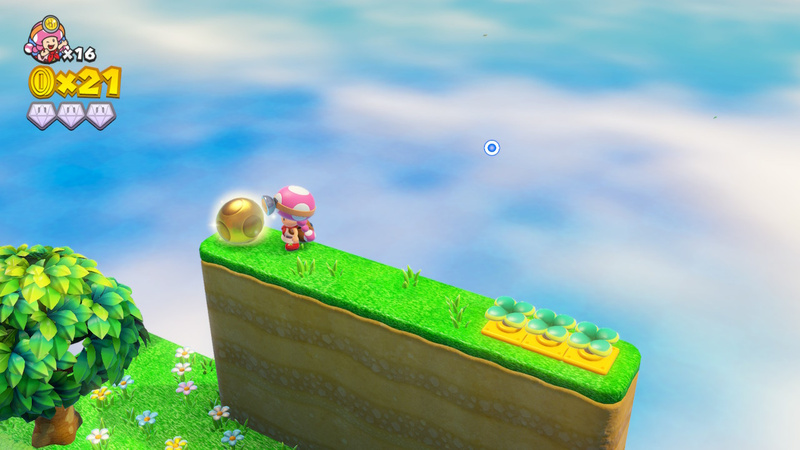 Fall off the wooden platform onto it to collect it. Position the first spinwheel so you can slide down the slop to the second spinwheel. 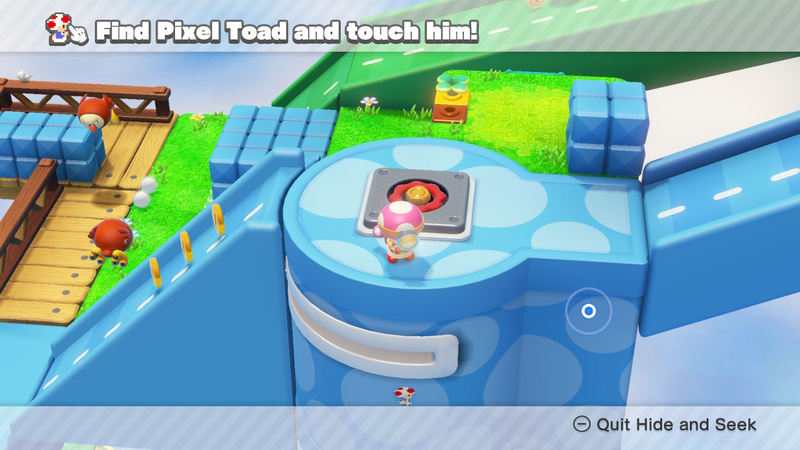 Move the slide out of the way to find Pixel Toad hiding beneath. To make this guide easier to navigate, we've broken each level up into pages. So to zoom quickly to the level you're looking for, simply head to the page number that matches the level number. 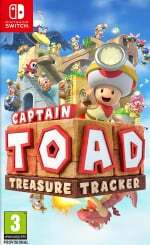 Continue to Captain Toad: Treasure Tracker - Stumper Sneakaround Gems, Extra Challenge, And Pixel Toad Locations. This is a fantastic game that everybody should try out. Finding everything is half the fun though, I advice you do not use this guide!